Editor’s Note: David Yamamoto is a Certified Family Law Specialist practicing in Torrance, California. He is also a member and current Secretary for the Family Law Executive Committee of the Los Angeles County Bar Association. The South Bay area of Los Angeles is home to many High Net Worth Individuals. Some of the wealthiest people in the nation live in Southern California. 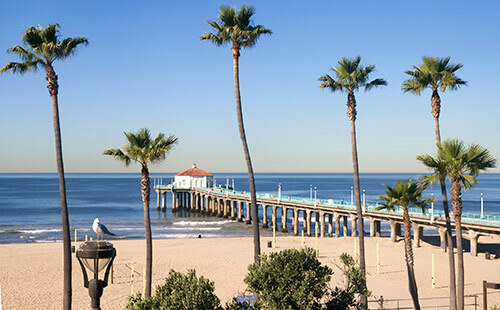 In particular, South Bay cities like Manhattan Beach, Hermosa Beach, Palos Verdes, Rolling Hills, Torrance and the greater Los Angeles and Orange County areas are home to many who are considered High Net Worth Individuals (HNWI) or Ultra High Net Worth Individuals (UHNWI). These people encounter special challenges when faced with a legal crisis such as divorce. It's not enough to consult just any family law attorney when so much is at stake. It's critical to begin with the very best representation one can find. The most important aspects of a person’s life are at risk in any divorce, but the potential for loss is much greater when dealing with high net worth cases. The complexities increase dramatically when spouses have real estate, closely held businesses, a family business, complex investments, separate property holdings, property acquired before marriage, partnerships, and sophisticated employment benefits such as retirement plans and restricted stock units. Failure to adequately prepare for a high net worth divorce will most certainly jeopardize the outcome. Proper accounting and detailed appraisals of property, businesses, and investments are crucial to developing a solid case and arriving at a fair and equitable conclusion. Being prepared is the key to successfully navigating the complicated issues of a high net worth divorce. The attorneys at the Law Offices of David K. Yamamoto will help ensure that the right steps are taken from the beginning. Our lawyers will work to provide the best legal representation and advice to safeguard client rights and to protect their share of the assets. David Yamamoto has extensive experience in handling cases involving high net worth clients. In his 32 years of practice, he has developed the specific expertise needed to handle the complex nature of HNWI divorce proceedings and the understanding that each case is unique to the client. His reputation as a strong and compassionate lawyer can be seen in the testimonials of the many people he has helped. Whether the case is resolved through collaboration, mediation or litigation, David Yamamoto and his team are ready to work. The Law Offices of David Yamamoto serve high net worth clients in Palos Verdes, Palos Verdes Estates, Rolling Hills, Rolling Hills Estates, Manhattan Beach, Redondo Beach, Hermosa Beach, Torrance, and the greater Los Angeles and Orange County areas. Call (310) 373‑4838 to get the help that you need. What is a High Net Worth Individual? A person is considered a High Net Worth Individual (HNWI) if their wealth reaches $1 million in liquid financial assets. An Ultra High Net Worth Individual (UHNWI) has wealth beyond $30 million.